If the minimum age for buying tobacco legally were changed to 21, it could save more than 35,000 lives in Texas, 15,000 in Florida and more than 12,000 in Michigan by 2100, according to a new web application. The Tobacco Control Policy (TCP) tool shows that raising the minimum age to 21 nationwide would save 306,000 lives. The tool was built by University of Michigan researchers and the Cancer Intervention and Surveillance Modeling Network (CISNET) lung consortium. This simulation model and web-based tool, hosted at the U-M School of Public Health, also shows the potential state-by-state impact of raising cigarette taxes, implementing smoke-free air laws and increasing tobacco control expenditures on deaths avoided and years of life gained. The TCP tool is designed to be an interactive interface geared toward decision-makers and public health professionals, the researchers said. 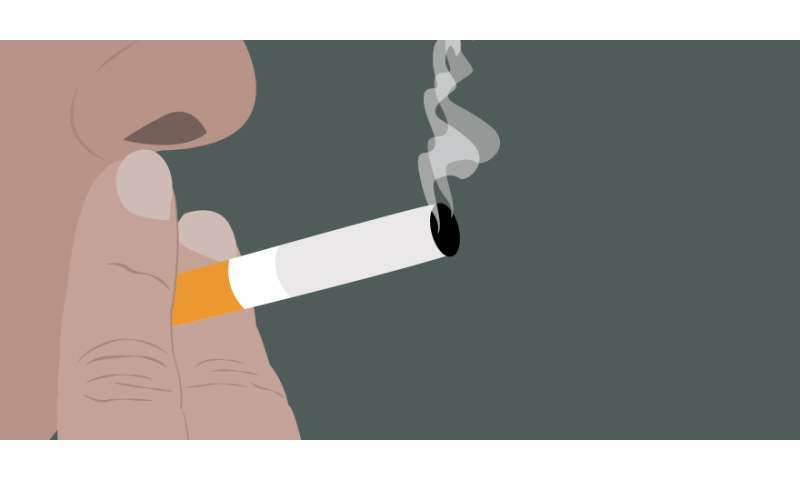 "The hope is that the tool will help public health and policy decision-makers at the national, state and local level argue the benefits of tobacco control policies with numbers that are relevant for their own context," said Rafael Meza, associate professor of epidemiology, and coordinating principal investigator of the CISNET lung group. Jamie Tam, doctoral candidate in the Department of Health Management and Policy and lead developer of the tool, explains that while simulation models can guide decision-making, they are rarely accessible to people outside of the research community. "This web-based tool links policy simulation to their real-world application, and makes it easier for decision-makers to understand the population health benefits of different policies they are considering," Tam said. To develop the tool, Meza's multi-institutional team gathered up-to-date information on existing tobacco control policies from the Campaign for Tobacco Free Kids, the American for Nonsmokers' Rights, and the Centers for Disease Control and Prevention. When calibrating the model, the CISNET lung consortium relied on estimates of the effects of tobacco control policies available in the research literature. Where data was not available, they relied on expert opinions of the potential effects of policies on smoking. Meza and Tam shared the tool at a National Cancer Institute Research to Reality webinar this week that also highlighted Hawaii's successful tobacco 21 control campaign. Hawaii was the first state to raise to 21 the age at which young adults can buy tobacco. Smoking continues to be legal at age 18 but young people cannot buy tobacco until they turn 21.